Moon Valley Collect Free Items, Daily Cheats, Rewards, Gifts. Greetings! A little delicious sushi for a huge sushi cake! Temaki delivery right to the Main Dream! Take your portion here! Link ... Do not forget about the "Like" button, also share this post with your friends! Lead your team to victory on the Eastern Food Festival! Hello dear players! Nigiri is the Tokyo sushi style, also known as Edo style. Little balls are forming by hands, taking so much rice to fit in the palm, hence the name nigiri - literally "handful." Sushi - masters of the Moon Valley prepared a portion of Nigiri for you! ... Take her to the link: Link Also do not forget about "Like" , share the gift with friends! Take part in the Sushi contest and get great prizes! Hello, dear friends! We wishing you More ingredients for the biggest Sushi cake in the entire Moon Valley! This time it's Salmon maki! You can take them up here: Link ... Click "Like" and share this post with friends. Lead your sushi-masters team to victory! Hello, dear friends! More ingredients for the biggest Sushi cake in the entire Moon Valley! This time Sushi preparations You can take them up here: Link ... Click "Like" and share this post with friends. Lead your sushi-masters team to victory! Welcome, dear players! Did you know that the root of wasabi costs more than 200 euros per 1 kg. Therefore, most restaurants outside of Japan use wasabi imitation based on horseradish, spices and food coloring. Bears have prepared wasabi from roots growing in the Moon Valley! Take it here Link ... Take part in the Sushi contest and get great prizes! Hello dear friends! Raccoon will not give the fish that easily.. But he couldn't turn down the Refreshing Lemonade ! Advantageous exchange! Take a drink here Link ... Click the Like button and dont forget to share the gift with your friends! Lead your team to victory at the "Eastern Food Festival"! Hello players! Daily souvenir from bears! Golden tile for your Flower of life! Follow the link: Link ... Do not forget to press "Like" , also share this post with friends! We are waiting for you in the Moon Valley! Hello! More ingredients for future cooking masterpiece! This time it's bag full of White rice !... Take it here: Link Click "Like" , share this post with your friends! Prepare to the new contest in Moon Valley! Greetings dear players! Daily gifts from bears! Get Sweet cherries here: Link Soon you could use them! Click "Like" , share this post with your friends! Prepare to the new contest! Good day dear players! Bears collected for you rystal water! Straight from the artesian wells of the Lands of the Rising Moon! You can take it here: Link ... Share the gift with your friends and dont forget about the Like button! New yum-yum contest soon! Finally, weekends Bears wish you a pleasant vacation surrounded by friends and family! Some materials for your dragon! Bears are giving you the Sphere of wonders ! Take it here: Link ... Click "Like" , share this post with your friends! Touch the magic of dreams in the Moon Valley! Hello dear friends! We wishing you easy and relaxed Friday! BearBank giving all players some Agate silver coins! Take them here here: Link ... Click "Like" , share this post with your friends! Touch the magic of dreams in the Moon Valley! Hello, dear players! It's already Thursday? Little present for our favourite players! Beatiful Ring of creator! Get it here: Link ... Click "Like" , share this post with your friends! A new yum-yum chalenge soon! Dear players! Bear - gin conjured the Moon flower spell! It is useful for long journeys! You can take a gift here: Link ... Click "Like" and share with friends, waiting for you in Moon Valley! Friends! Bears found another petal! This time Sapphire. Fill Flower of Life with it! You can get a gift here: Link ... Click "Like" and share with friends, Bears waiting in Moon Valley! Greetings friends! Bears made refreshing Sakura Tea for players! You can take it here: Link ... Press Like button, share this post with friends! Play Moon Valley together! Hello players! Bears made this beautiful Nephrite amulet for you. Will help to create Ring of goddess ! You can take it here: Link ... Hit a like button, share this post with your friends and they can get a gift too! Greetings friends! Bears have prepared a new gift for you - Heavenly scroll! It will help you on the Land of the Rising Moon! You can take it here: Link ... Hit a like button, share this post with your friends and they can get a gift too! Greetings friends! 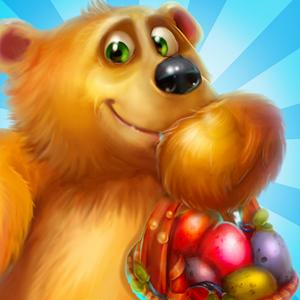 Bears have prepared a new gift for you - Magic of forest! It will help you on the Land of the Rising Moon! You can take it here: Link ... Hit a like button, share this post with your friends and they can get a gift too! Greetings friends! Bears have prepared a new gift for you - Gifts of Daphne! It will help you on the Land of the Rising Moon! You can take it here: Link ... Hit a like button, share this post with your friends and they can get a gift too! Dear Friends ! Follow the link and take today's free useful gift - Wish made! You can get it here: Link ... Play now! Hit LIKE and SHARE so your friends can take this cool gifts too! Greetings friends! Bears have prepared a new gift for you - East wind! It will help you on the Land of the Rising Moon! You can take it here: Link ... Hit a like button, share this post with your friends and they can get a gift too! Dear Friends ! Follow the link and take today's free useful Talisman of Morrow! It will definitely help you in long journeys! Get it here: Link ... Play now! Hit LIKE and SHARE so your friends can take this cool gifts too! Dear Friends ! Follow the link and take today's free useful Talisman of yore! It will definitely help you in long journeys! Get it here: Link ... Play now! Hit LIKE and SHARE so your friends can take this cool gifts too! Dear Friends ! Follow the link and take today's free useful gift: Link Play now! Hit LIKE and SHARE Have a nice day!